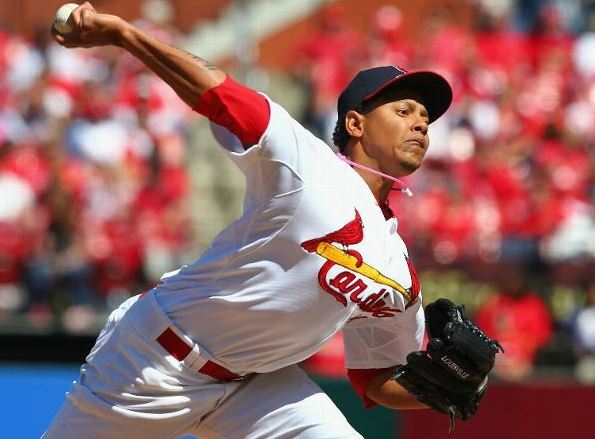 St. Louis Cardinals: Bigger Upside, Michael Wacha or Carlos Martinez? As Cardinals fans look to the future of the starting rotation, who has the bigger upside–Michael Wacha or Carlos Martinez? Both are currently down at Triple-A Memphis, but for different reasons. Wacha is down to conserve his arm by limiting his innings, while Martinez is there to stretch his arm out to be more prepared for the starter role in the future. Both have bright Major League futures, but that is really where the similarities end when comparing the two. Wacha is 6’6″ while Martinez is just 6′. Wacha was drafted out of college and made it to the big leagues in less than one year. Martinez was signed as an amateur free agent in 2010, and it took 3 years for him to make his first major league appearance. Major League Career: 3 games started, 17.2 innings pitched, 1-0 record, 4.58 earned run average with 14 strikeouts and 4 walks. 2013 in Memphis: 10 games started, 57.2 innings pitched, 4-1 record, 2.34 earned run average with 40 strikeouts and 15 walks. 1. Fastball: It averages from 92-95 MPH, but he can amp it up to 97 MPH when needed. He spots it well on the corners, and he uses his 6’6″ frame well to put a downward slant on the pitch. 2. Changeup: This is probably his best pitch. It has late movement that resembles a screwball–diving away from left-handed hitters and getting in on the hands of right-handed hitters. 3. Curveball: One of the main reasons he was sent down to Triple-A was to fine-tune this pitch. Throughout Spring Training and even during his short stint with the Cardinals, he showed flashes of this being a great pitch, he just lacked consistency with it. Thus, given the time to work on this pitch, he could really develop it into an out pitch–one that at times can resemble Adam Wainwright’s great curveball. Major League Career: 7 games in relief, 8 innings pitched, 0-0 record, 4.50 earned run average with 9 strikeouts and 3 walks. 2013 in Memphis: 7 games started, 35.2 innings pitched, 2-2 record, 2.02 earned run average with 34 strikeouts and 12 walks. 1. Fastball: 97+ MPH with consistency and is able to reach triple digits as well. It is his go-to pitch that can have a lot of tailing movement based on his arm angle. If he drops his arm angle too much, he tends to elevate this pitch a bit which can lead to trouble. 2. Sinker/Two-Seamer: He does not use this pitch that often as he is still developing command with it. However, it is a good pitch to help keep hitters off balance and prevent them from keying on his high-90’s fastball. 3. Curveball: This is a hard curve with sharp 12 to 6 movement. This pitch comes in around 80-82 MPH so provides an offset of 15-20 MPH from his electrifying fastball. He must still further fine-tune this pitch, but it is quickly becoming his “out” pitch when he is ahead in the count. 4. Changeup: This is his least used pitch at this point in his career, but it will become a weapon for him in the future. It comes in at 86-88 MPH–the proper drop-off in speed needed to be an effective pitch. So…Who Has the Bigger Upside? While Wacha has a tremendous “floor” considering he made it to the big leagues less than one year from being drafted, his “ceiling” is nowhere near the height of Martinez’s “ceiling.” Wacha has quality stuff, but it projects more to a #2 or #3 starter in the future. Martinez has flashy, electric stuff that will only continue to develop with time. He has shown flashes of brilliance so far in Memphis–most notably his scoreless outing against the Iowa Cubs where he pitched 7.2 innings, allowed no runs, and recorded 8 strikeouts. This performance shows that he has the capability of being a #1 or #2 starter in the future as long as he continues to grow–remember, he is still only 21 years old. Barring any unforeseen trades made by John Mozeliak, both Wacha and Martinez project to be quality starters in the future for the Cardinals. However, after comparing each starter’s stuff, Martinez has much bigger upside. If he is able to continue to fine-tune his pitches and gain the endurance needed for a big league starter, he could be a future ace and Cy Young Award winner for the St. Louis. 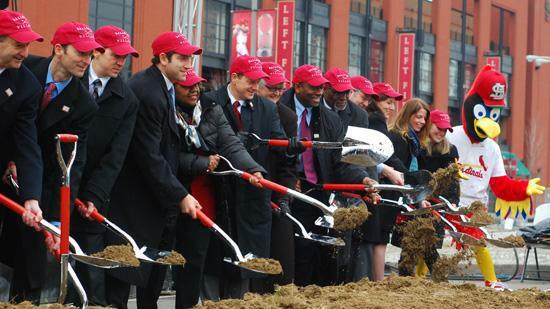 Back on February 8th, the St. Louis Cardinals finally broke ground on the famous Ballpark Village, and team officials implied that the first phase of the project will be ready by Opening Day 2014. With the amount of excitement that has been built up since 2006, the United Cardinal Bloggers decided that it would be a good idea for all group members to write about what they want to see in the new Cardinals Hall of Fame–an integral part of the Ballpark Village project. Thus, that it was I intend to do here, and to be honest, I hope someone with the Cardinals is reading–I am that pumped about my idea. In my humble opinion, there is one exhibit that really should be considered as being part of the actual Cardinals Hall of Fame. It is interactive and is able to bring fans closer to the game. It can also be enjoyed by all ages–from the youngsters to lifelong fans. Let’s be honest, the answer is most likely a resounding no for most of us. Regardless of the answer, envision this scene. There in front of you sits half of the infield diamond: home plate, first base, second base, and a daunting, life-size figure of Yadier Molina just about to unleash one of his cannon-like throws to second. Traveling from Yadi’s extended throwing arm to the second base bag (127.3 feet) is a clear tube that is close to the diameter of a baseball. Inside the clear tube is either an actual baseball or a fiber optics image of a ball–whatever the design engineers consider feasible and reproducible for the project. I suppose that if need be, they could even use a long skinny video board instead of the tube, but that is out of my jurisdiction, I am just here for the idea. The base path between first and second base (90 feet in length) can be a brown field turf–something that does not need much maintenance and is easy on the body in case of a fall. There can also be a rubberized flooring following the same path to second base so that wheelchair-bound fans can enjoy the exhibit as well. Thus, the scene is set: a half baseball diamond, Yadier Molina with a tube going down to second base, and the base path for the fans to use when trying to steal. To provide my readers with a clear image of what to expect, I am going to provide you with a make-believe father and young son using the exhibit. Let’s call the father, Stan. He is a thirty-two year old guy who has been a diehard Cardinals fan since he was born. The son, who is just seven years old, will go by Tony. He, like his father, is a huge Cardinals fan as well. Stan sends Tony up to first base. Tony, who has already started playing organized baseball, takes a couple steps off the base as his leadoff. Next, the moderator of the exhibit tells Tony that the video board in front of him will count down: “3, 2, 1, GO!” and that he is to take off towards second base when the board reads GO. Tony digs his feet into the field turf, sways his arms back and forth, and gives a thumbs up to the moderator. The board reads GO!, and Tony is on his way to second base. Just four to five steps into his run, the ball has already traveled from Yadier’s hand to second base–a mere 1.75 seconds. It will actually have to be around 3-3.2 seconds in order to factor in the time it would have taken for the pitcher to throw the ball to home plate first. Tony turns in amazement, “Dad, Dad! Did you see how fast that throw was?” His dad replies, “Yes, son. That is why he is the best. I hope this makes you truly appreciate how fast Yadi really throws it now.” Of course, the dad, Stan, could not help himself and tried the exhibit himself right after–he, too, falling victim to Molina’s cannon of an arm. Thus, there is the exhibit that hyped me up so much. The only engineering part that really needs to be figured out is how to make it so a ball can consistently go from Molina’s hand to second base in a little over 3 seconds. I trust the incredible engineers of St. Louis to be able to make either an air-powered machine that can push an actual baseball at that speed through the tube or come up with some fiber optics contraption to serve as a ball traveling to second. Some modifications can be made such as scaling the exhibit down to help fit the building. If space permits, it can even become an outdoor exhibit for the Hall of Fame. 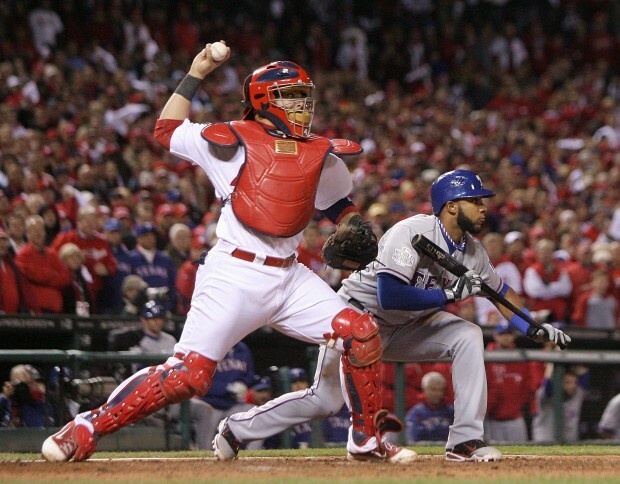 St. Louis Cardinals fans, young and old, know that Yadier Molina is the best catcher in the game right now. When his career ends, he very well may be the best catcher ever. Well, this is a fun, interactive exhibit that can help make fans truly appreciate one of Yadi’s many talents on a firsthand basis. Let’s be honest, who would not want to try this exhibit at least once? P.S. If any of my readers have a contact with the Cardinals, please let me know because I would really like to pitch this idea to them. With the Cardinals just being swept by the Texas Rangers and the Pittsburgh Pirates pulling within one game in the Central, the “best fans in baseball” have been unfairly crying for help. Well, help is on the way in the form of a familiar foe–the Houston Astros. Although the Astros may be performing better than one would think given their minuscule payroll and underwhelming roster, they still are 19 games under the .500 mark. The Cardinals beat up on the Astros last season–compiling 11 wins to just 4 losses. Thus, with this being just a short two-game series in Houston, I fully expect the Cardinals to win both–improving their overall record to 49-29. Expect Yadier Molina to break out of his mini slump (0 for his last 8) in a big way tonight against Astros’ starter, Lucas Harrell. For his career, Molina has 7 hits in 12 at-bats against Harrell with one home run and 4 RBI. It does not stop there, though, because Molina loves hitting against tomorrow’s starter, Erik Bedard, as well. In his career, he has 4 hits in 8 at-bats with one home run and 3 RBI. I would not be surprised to see David Freese have a big game tonight as well considering he has 5 hits in 10 at-bats against Harrell. Of those 5 hits, one has left the field of play for a home run, and he has driven in two runs. Freese, like Molina, has also had success against Bedard with 3 hits in 9 at-bats, so expect him to have a good two game series as well. Jake Westbrook toes the rubber tonight, and I expect him to build on his last outing against the Chicago Cubs. It is only his third start back from the disabled list, so efficiency in his pitch count will be key, especially in the Houston heat. Lance Lynn is on the mound tomorrow night, and he will be looking to capture his NL-leading 11th win of the season–something Adam Wainwright was unable to do on Sunday night against the Rangers. Lynn will especially have to be efficient in his pitch count as he has shown endurance issues so far this season. Thus, this was just a very brief overview of the upcoming series with the Astros, but I hope I was able to provide you with some insight and some matchups to look at throughout the two games. I expect the Cardinals to take care of business in Houston. Let’s just hope the Seattle Mariners can tackle the Pirates tonight to help give the Cardinals a more comfortable cushion in the division. Also, I would not mind seeing the Oakland Athletics beat up on the Cincinnati Reds as well. 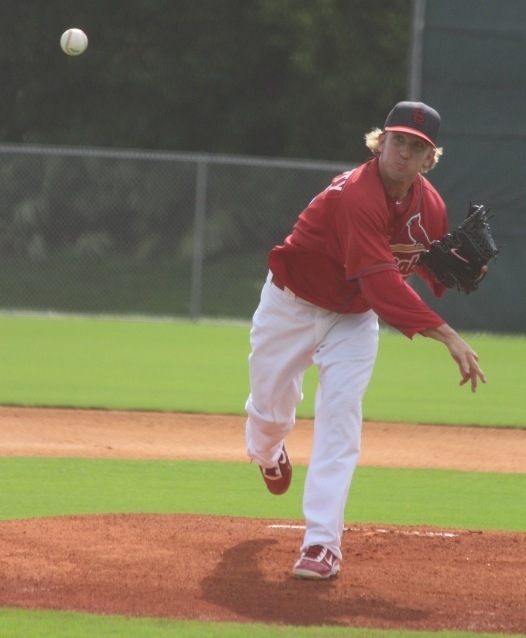 Considering I just got shoulder surgery from a high school pitching injury, I decided it was the perfect time to write a post on St. Louis Cardinals’ prospect, Jordan Swagerty, who is currently at the tail end of the rehab process required after Tommy John surgery. The Cardinals selected Swagerty in the second round of the 2010 draft out of Arizona State University. His unique skill set along with his impressive sophomore season at Arizona State convinced the Cardinals to take him with the pick.. He had a 2-0 record while compiling a school record 14 saves. Something unique about him is that he had 12 starts at catcher, with two being the 8 innings before he closed the game out as pitcher. Thus, he, like a lot of St. Louis prospects, is an incredible athlete. Quad Cities (A): 5 games (all starts), 3-1 record, 1.50 earned-run average, 30 strikeouts to just 2 walks, .178 batting average against. Palm Beach (A-Advanced): 22 games (7 starts), 2-2 record, 1.82 earned-run average, 5 saves, 52 strikeouts to 16 walks, .214 batting average against. Springfield (AA): 9 games (0 starts), 0-0 record, 2.89 earned-run average,?3 saves, 7 strikeouts to 5 walks, .222 batting average against. 2011’s performance made him an MiLB.com Organization All Star. According to one scout’s book on him, he definitely has “shut-down” stuff that suits well for late-inning appearances, but his impressive command on all his pitches at the very least intrigues the Cardinals into possibly using him in the starting role as well. 1. Fastball: If the Cardinals choose to use him as a starter or long reliever, this will probably run at around 92 MPH. However, as a one-inning set-up man or closer, he can dial it up to 94-96 MPH. He employs both a four-seam fastball (harder, less movement) and a two-seam fastball (slower, more movement) that he uses based on the situation. 2. Slider/Curveball: He calls it a spike slider/curveball based on his unique grip used for it. It comes to the plate anywhere from 78-86 MPH–allowing for the necessary contrast from his fastball speed. This is his best and favorite pitch. For a lack of a better word, it has an absolutely dirty break on it. It can make hitters look foolish at the plate because it comes out of his hand looking like his fastball. This has been developed into his go-to pitch–see interview questions below for his personal take on it. 3. Change-up: He throws a circle change-up (named after the grip style in which the thumb and pointer finger form a circle on the side of the ball). It comes out of his hand at his fastball’s release point and arm speed–both attributing to the deception it provides hitters. It can be clocked at anywhere from 83 MPH to 87 MPH depending upon the situation and grip tightness. The intangibles he possesses will help him succeed at the big league level. Almost every question I asked him, he stressed how much he loves competition–something that is absolutely necessary to be a late-inning reliever. As a catcher in college as well, he should be able to take some of that knowledge and apply it to his pitching–à la Yadier Molina and what he has done with his hitting the past few seasons. In 2012, after a solid 2011 season (highlighted above), Swagerty and the Cardinals set high expectations of continued success and Triple-A Memphis in sight. However, in May, Swagerty was diagnosed with bone spurs in his elbow. With the risk of injuring his ulnar collateral ligament sometime in the future, it was decided that proactively performing Tommy John surgery was his best option. And for those wondering, he did discuss the situation with Adam Wainwright since he had just come back from the surgery himself. Me: Being a Texas boy, what player(s) did you look up to when you started playing baseball? Swagerty: The biggest one was Nolan Ryan. (He) went after hitters and never backed down. Good role model for me. Me: Since the injury, has there been any one thing that has motivated you most on the road to recovery? Swagerty: I get motivation from my competitive nature. I hate missing games, and I want to be back. Me: I saw your latest tweet about the ‘Birds. What was your first thoughts on being drafted by the team? Me: I also saw some pictures of you throwing. What has the rebuilding process been like? Both the strengthening component and regaining your range of motion. Swagerty: For me, it wasn’t too bad. Just followed the protocol, and it all came pretty easily. It’s just a grind you have to stick with daily. Me: In a pressure situation where you really need an out, what is your go-to pitch? Swagerty: I like my slider. Really worked on it to the point that I feel comfortable enough to throw it in any situation. Me: What is a day in the life for you on a game day? This is the type of question my readers really enjoy. Swagerty: I show up to the park and get a good meal then joke around with the guys a bit. Once it gets to an hour and a half before, I get serious–turn on the music and focus. I get in a good stretch then get on the field 30 minutes before the game starts to warm up. Me: How about your routine on days you know you are not pitching? Swagerty: On days I don’t pitch, I hang around the locker room, get a good lift in. I also try to rob home run balls in batting practice. Just try to have fun. Me: Two more, what are your hobbies that you enjoy doing during the off-season? Swagerty: I hunt and fish all the time. I go shooting a lot. I play golf too. (Of course he does, it seems like all MLB pitchers do). Me: Last one, any time-table on returning to action? I know it’s a tricky question but was just wondering if you knew of anything. Swagerty: It’s soon, ha. Shouldn’t be too long, but I don’t even know for sure. Me: Again, thank you very much. Good luck the rest of the way, I wish you all the best. Swagerty: No problem, have a good one. I just may have a new favorite minor leaguer. Swagerty was the man for being so generous and helpful throughout the interview. I cannot thank him enough. Be on the lookout for his return to live action in the near future, and when necessary, I will provide you with updates. 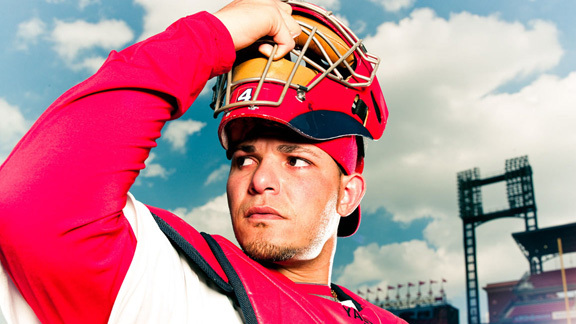 Yadier Molina: MVP, but Not Starting All Star? Disclaimer: I know I am late to the party on this discussion, but I wanted to give my analysis as well. Thank you for checking in! Yadier Molina. What else can he do to be considered the outright starting catcher in the All Star Game for the National League? Molina is hitting .367 this season, has held together a pitching staff full of rookies, and is arguably the most valuable player of the team with the best record, yet he still is not a lock to start the All Star Game. Something is wrong about that. Something is seriously wrong about that. Right now, due to a flawed voting system, Molina trails San Francisco Giant catcer, Buster Posey, by a few thousand votes. Let’s do a quick comparison of their numbers. Comparison finished. In short, there really is zero comparison. Posey, last season’s MVP, has great statistics, especially for a catcher, but Molina has incredible statistics, especially with the amount of adversity he has dealt with this season. Sure, Posey has more home runs than Yadi, but as shown by OPS, Molina is managing just fine in the power category. Home runs will come for Molina, but the fact is, that is the only statistic in which Posey has the advantage. Yadi could hit more home runs, but this Cardinals team does not need him to hit many home runs like the Giants need of Posey’s bat–he hits third in the lineup. Also, keep in mind, no one can quantify exactly what Molina has done for this year’s pitching staff that has been plagued with injuries all season. In 67 games played (out of a possible 71), Molina has caught 21 different pitchers. 21 different pitchers! Despite the carousel of pitchers he has caught, he has helped manage the staff to a top two earned-run average (3.28 ERA). The staff also has the most complete games with five and is in the top ten with 42 quality starts. Posey is a great catcher, but in my opinion, there is no way he would have been able to handle the adversity Molina has admirably handled so far this season. Posey is more of an offensive-minded catcher, and yet, as shown by my comparison above, Yadi has him beat in the majority of the offensive categories as well. I do not care if you only vote for one person on the entire ballot, but please, go online and vote for Yadi. He is more than deserving, and he needs our help to beat the flawed system. He is the best catcher in baseball, and if he is able to keep this up, he will be the MVP of the National League. If he is capable of being the MVP, he should be starting the All Star Game as well. I have voted 35 times a day for him through my MLB.com account, so it would truly mean a lot if you all could vote for him as well. Thank you. In 2011, the St. Louis Cardinals finally addressed a long-term need at second base by taking Kolten Wong with the 22nd pick of the first round in the First Year Player Draft. Here is a quick look into the prospect’s career so far. His Cape Cod League MVP in 2010 along with his incredible overall performance in his junior year at Hawaii the following year is what sold the Cardinals on his ability to become an impact player in the big leagues one day. In a little under two full seasons in the minors, Wong has yet to disappoint. He may be small in stature at 5’9″ and 185 pounds, but his bat looms much larger than his frame. In 717 at-bats between Single-A Quad Cities and Double-A Springfield in the 2011 and 2012 seasons, Wong was able to hit exactly .300 while racking up 8 triples, 14 home runs, and 78 runs batted in. He had a respectable .362 on-base percentage and was able to swipe 30 bases. 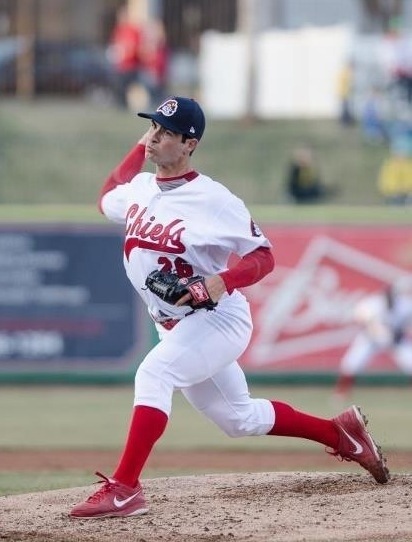 His impressive performance led to his selection for the MLB Futures Game in 2012 where he wowed the Kansas City crowd with a “Wizard”-like standing backflip before the game. Wong has followed those two seasons up with probably his best minor league season yet for Triple-A Memphis thus far in 2013. In just 62 games, he is hitting .319 with 14 doubles, 5 triples, 5 home runs, and 23 runs batted in. He continues to regularly get on base with a .359 on-base percentage and has been more efficient on the base paths going 11 for 12 on stolen bases. As shown by his minor league statistics at every level so far in his career, the transition from college baseball to professional baseball has been relatively easy for Wong. This is a direct testament as to how polished his skills are for a 22 year old kid. He is able to do just about everything at a high level–from hitting to fielding to base running. He may not be a 20+ home runs per season player, but the Cardinals don’t need that from the second base position. Also, do not be alarmed by the fact that he recorded 17 errors in Double-A Springfield last season. 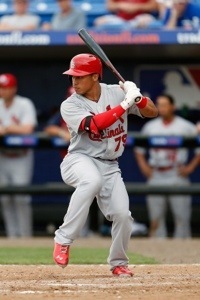 He is such an incredible athlete, and it is guys like Wong that Jose Oquendo just loves being able to work with. Oquendo will spot flaws in Wong’s fielding mechanics, and Wong, being the great athlete that he is, will correct them and eventually become a gold-glove caliber defender. Here lies a tricky situation. Matt Carpenter has taken off as the Cardinals everyday second baseman and has flourished at the top of the lineup. He is not arbitration eligible until 2015 so the Cardinals will be able to keep him at a great value. Despite an extremely slow start, David Freese has caught fire and was able to ride a 20 game hitting streak to improve his season batting average to a season-high .291. Freese, who signed a $3.15 million one year contract before the season, is due a hefty raise at the end of the season. After all, he was the sole reason the Cardinals escaped with a victory in Game 6 of the 2011 World Series en route to the team’s eleventh championship. 1. Let Freese go at the end of the season. Thus, in 2014, M. Carpenter will start at third, and Wong will start at second. This will be a very controversial move considering Freese is a hometown hero, but economically, it will leave the Cardinals in the best position, especially if they feel Wong is ready to regularly contribute at the major league level. 2. Re-sign Freese at fair market value and keep M. Carpenter at second. This option will most likely cost the Cardinals somewhere near the Allen Craig contract range of $5 million per season or higher based on how Freese finishes 2013. This option will keep Wong out of an everyday spot. However, it will be in the team’s best interest to put him on the big league bench instead of keeping him in Triple-A for a second season in a row. Freese is injury prone, and for how hot M. Carpenter has been this year, he has not proven he can stay hot for an entire season yet. Plus, Wong will be able to fill in when Carpenter needs rest or will be able to fill in when when Carpenter slides over to third to give Freese a day off. Notice that neither option included trading him before this season’s trade deadline like Ken Rosenthal originally eported. This year’s team is a special one, and it would be foolish of the front office to alter the chemistry going into the stretch run. I trust John Mozeliak enough to know that he will not tinker too much with a team performing at such a high level. Thus, the front office of the Cardinals will be facing some extremely difficult decisions this off-season. Wong has been proving that he is on the cusp of the big leagues for two seasons now, and 2014 very well might be the year for him to take over at second for the Cardinals. In order to do that, though, St. Louis will have to part ways with its hometown hero, Freese. This will be tough for the city, but it may be the best option when it comes to both finances and the future of the team. Either way, it is a good problem to have, and it is imperative that the Cardinals keep Freese through the end of the season because moving him before the deadline would be a huge detriment to this team’s unique chemistry.